The AMD A6-3410MX (Codename Llano) is a quad-core processor for entry level laptops. 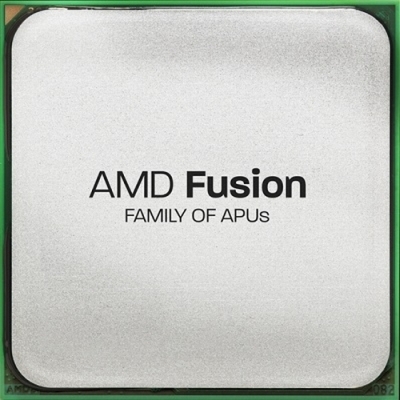 It is part of the Fusion family of APUs (=Accelerated Processing Units) and features an integrated Radeon HD 6520G graphics card. The processor core is clocked at 1.6 GHz base clock speed and is able to automatically overclock up to 2.3 GHz (TurboCore, depending on temperature and used cores). The processor core is based on the Husky familiy 12h. Compared to the older Phenom II mobile processors, the Husky core is very similar but features an additional hardware divider. However, the performance per clock should be similar to the old Turion II, Athlon II, Phenom II mobile processors (as the Llano APU they did not feature a Level 3 cache). The performance of the processor part depends on the used cores. Due to Turbo Core, a single core can be clocked up to 2.3 GHz leading to a performance of a AMD Turion II P520 (2.3 GHz 2MB L2 Cache). Using all four cores, the performance is in the range of the Phenom II X4 P940 (1.7 GHz 2MB L2 Cache). The Llano APUs feature an integrated DirectX 11 capable graphics card with a maximum of 400 cores. The AMD Radeon HD 6520G called version in the A6-Series however offers only 320 cores at 400MHz. It has no dedicated memory and also is not able to use the integrated cache (in difference to the Intel HD 3000). Furthermore the APU also features an integrated UVD3 video processor to fully decode most used HD videos (like H.264, VC-1, MPEG4). The A6-3410MX also features an integrated dual-channel memory controller with support for DDR3(L)-1333 memory and a PCIe 2.0 controller. The TDP of 45 Watt for the APU (including graphics card and memory controller) makes it best suited for 15-inch+ laptops. Beware: Parts of the information above is still based on rumors and leaks.